ecology. evolutionary biology. 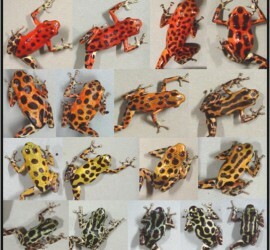 amphibian conservation. Check out some of our current projects. I am always looking for highly-motivated undergraduate and graduate students to join our lab. 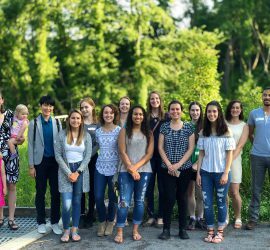 The Richards-Zawacki Lab is interested in many aspects of the ecology, evolutionary biology, and conservation of amphibians. 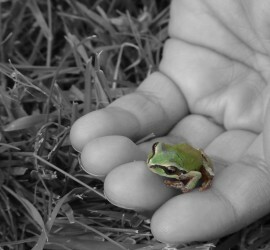 The ongoing research in our lab has two main goals: (1) clarifying the ecological and evolutionary processes that lead to adaptation, population divergence and speciation, and (2) understanding how host behavior and environmental variation affect the occurrence, severity, and spread of an emerging amphibian fungal pathogen, Batrachochytrium dendrobatidis. To address these topics, we take an approach that integrates studies of molecular and phenotypic variation, including morphological, ecological, and behavioral aspects of phenotype.